Reading books is always a good habit, whether it is a storybook or any other useful book. In our busy daily routine, it’s quite tough to find time to read a book, especially a paper-book inconvenient for carrying around everywhere. Here comes the use of audiobooks, they help us to listen to any book of our choice wherever we are. We can always listen to them, even if we are eating, or just working out at the gym, traveling a long distance or even washing our laundry. Listening to audiobooks has become quite popular these days. People can now listen to any book in their own language sitting in any part of the world. Apart from the website, now there are many app services podcasting books for free or with some minimal charges. 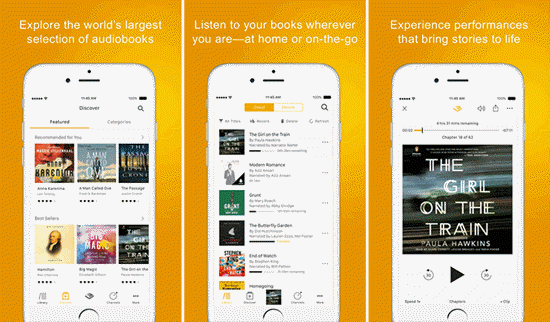 There are a lot of apps for accessing Audiobooks for our iPhone or iPad that allow you to download, manage and listen to your favorite books anytime. 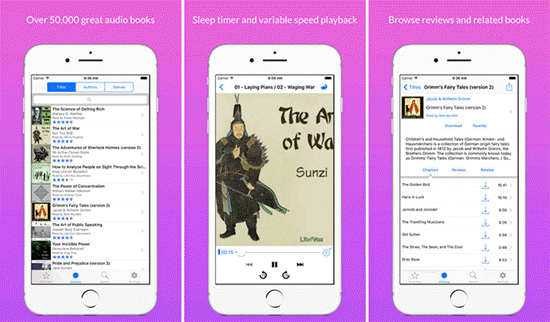 For your convenience, here we bring the 10 best free Audiobooks Apps for your iPhone or iPad. This is the famous audiobook app service provided by the tech giant Amazon. It has over 150,000 titles to listen to, covering almost all the best sellers around the world. It includes features like transferring the books to your device via Wi-Fi, switching between reading and listening with Whisper sync for Voice and much more. Well, it has a quota for free service, after which you need to opt-in for the unlimited service with a paid price. 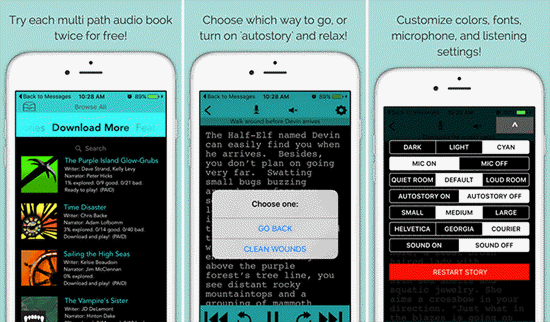 This app features over 28,000 worldwide audiobook titles for users to listen to on iPhone. Being a free audiobook service, this app is one of the best-selling audiobooks apps at the iTunes. Also, you can borrow ebooks or watch streaming video from your library using OverDrive Media Console (OMC) on your iPhone and iPad. Tips: If you lost any note of your reading or studying on iPhone or iPad, you can always recover the deleted notes for free easily even without backup via Gihosoft iPhone Data Recovery. Scribd is a one-stop platform to find all your favorite audiobooks, all at one place. 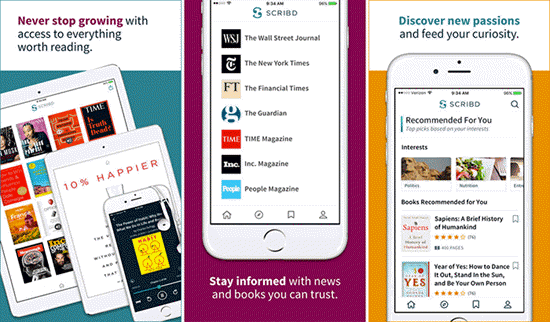 With Scribd, you can easily get access to audio books, magazine, documents, news, music and more on iPhone. Also, you can explore all the latest topics and get personalized recommendations based on what interests you the most. Another great advantage of the app is that it has curated contents handpicked by editors and business leaders. Well, the app provides you with 3 books and one audiobook of your choice every month for free. If you want unlimited access to books, magazines, audiobooks, then you can opt-in for the monthly subscription as well. LibriVox Audiobooks is a free Audiobook app for iPhone and iPad that has over 24,000 audiobook collection. Also, it is one of the highest rated apps in the App Store. 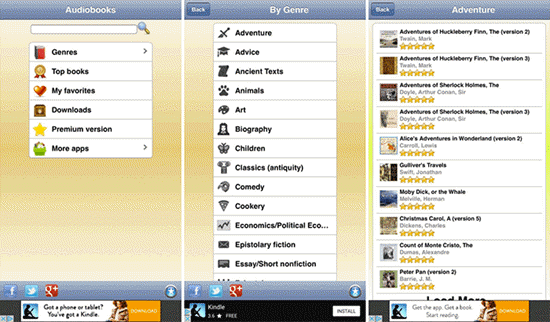 You can quickly search any of your favorite books and listen to it from your iOS device. It may happen that sometimes you are connected to Wi-Fi and you want to download the book and listen it offline. Certainly you can do that too with LibriVox Audiobook app. With a huge collection of books of all genres and from best sellers, you may not have to look beyond this audiobook app service. 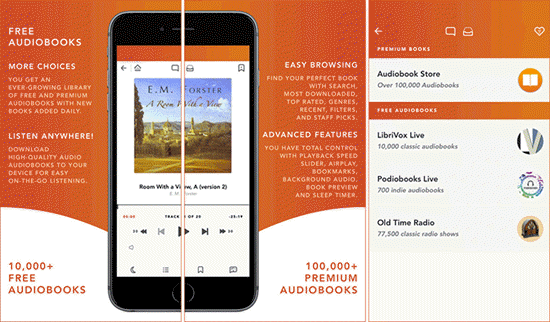 Free Audiobooks HQ is another free app service for iPhone and iPad that features more than 10,000 books which you can easily access and listen to at your convenient time. Ranging from bestsellers to timeless classics, it has covered every type of audiobooks. Its easy-to-use player helps you to skip forward and back, you can even speed up or slow down the playback in 40 increments. 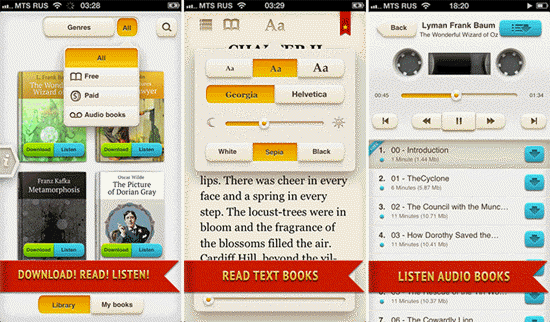 The premium version of the app covers over 100, 000 audiobooks and lets you listen to them with peace. This is a unique audiobook app service for iPhone that helps you to download any audiobook and stream it offline. This one too has a massive library of audiobooks, having more than 80,000 titles for users to select from. 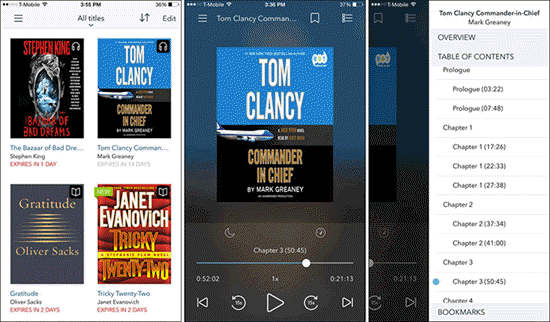 Also, you can sync audiobooks and bookmarks across all your Apple devices. On the other hand, the audio playback speed helps you to control your books at your own pace. LibriVox has another audiobook app for iPhone that is dedicated to English audiobook listeners. It features the best books from English Literature, to best novels, history books, biographies, short stories and poetry, etc. This app almost covers everything. With over 3000 audiobooks, you have a huge collection from which you can choose your favorite audiobooks to enjoy. This app is another free audiobook streaming service on iOS devices that features over 7000 audiobooks. 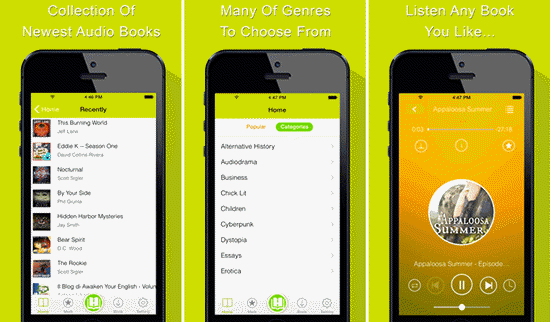 This app lets you listen to books from all genres and you can even quickly search any book by its category. 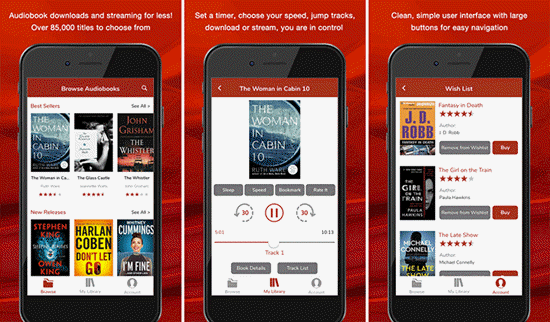 With this app, you can also download your favorite book and stream it offline on your iPhone or iPad from anywhere. This is a simple and user-friendly audiobook streaming app for iOS that lets users listen to famous titles all at one place. You can also download books and listen to them offline from anywhere. Plus with time-to-time addition of new audiobooks, you’ll never feel bored. Multi-Path Audio is a fun-filled audiobook streaming app on iPhone that is meant for both kids and adults. It features some of the best stories written by best writers and narrators. Also, there are fiction stories belonging to several genres such as fantasy, vampire, pirates, Si-Fi & more. Plus the stories for children helps your kids listen to some of the best novels especially meant for them. There’s also the option to listen to the audiobooks offline from anywhere and anytime that you feel suitable. 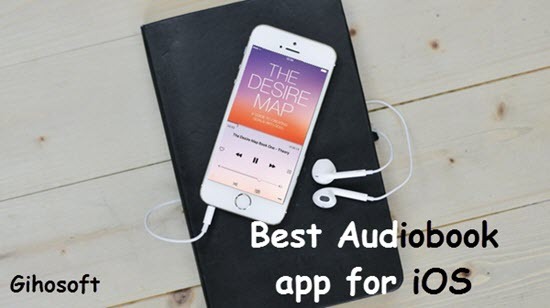 So, here are our top audiobook recommendations for apps providing audiobook service for your iPhone or iPad. Audiobooks are quite great to listen to even at work or during travel or doing just any other activity. It is truly a good habit to read or listen to them because they tend to refresh us from our busy life schedule. But, finding the right app for your device seems tiring, so we made things comfortable with this list. We hope that you are enjoying our app recommendations and yes, enjoying listening to an audiobook as well. If you have any other good suggestion, welcome to share with us.